Light and easily absorbed, this facial serum is ideal for all skin complexions and unlike traditional creams, it's absorbed instantly. This serum is rich in vitamin E and antioxidants which hold the ability to regress the signs of ageing, erase wrinkles and other skin degenerations. Apply a couple of drops to the face morning and night, for ultimate hydration and the perfect non-greasy moisturiser. Mix with your favourite facial mask for added hydration. Use a few drop of serum in the palms of your hands and gently massage in your hair for a natural effect and to help protect from environmental damage. Form men, its ideal for your beard, simply massage it into your face and it will help to keep the skin hydrated and moisturised, preventing dry skin which is the cause of an itchy beard. For more, use a few drops and massage in before shave for a close and comfortable shave, without the dreaded shaving rash. Unisex formula: TanOrganic's Facial Serum is unisex product with a subtle citrus fragrance so it's ideal for all skin types and tones. Ideal for shaving: Apply a few drops before shaving for amazing razor glide and close, comfortable shave so no more dreaded shaving rash. The perfect beard oil: Can be used as a beard oil to moisturise the beard and skin to prevent beard rash and dry skin. 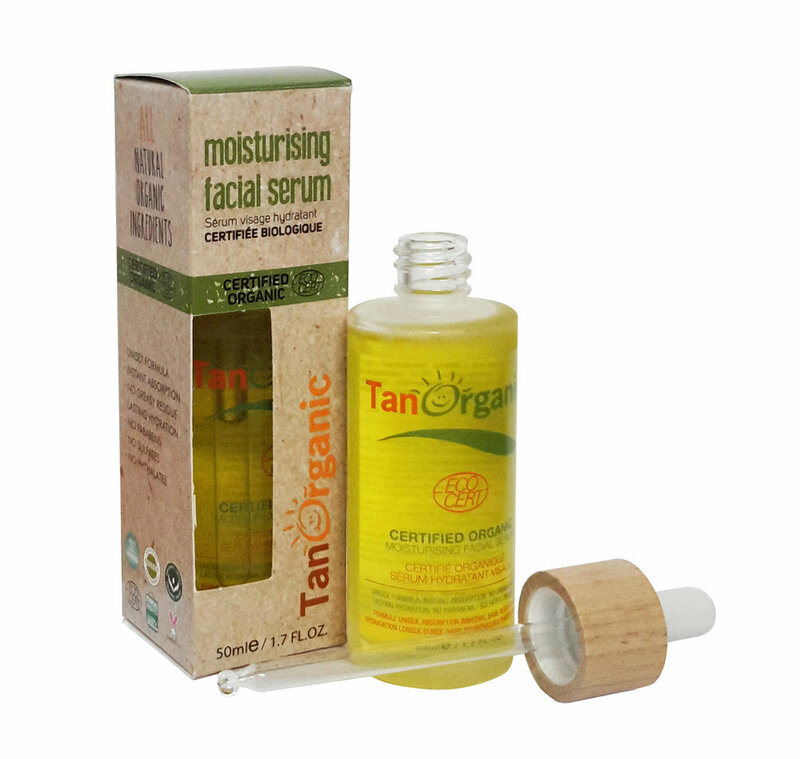 Instant absorption: TanOrganic's Facial Serum is a dry oil, this means it absorbed instantly unlike traditional water based moisturisers which can evaporate and leave a greasy film. It also ensures it penetrates deep within the skin for ultimate skin hydration. For the perfect foundation: A few drops of Facial Serum with your foundation, it will glide on smoothly and give a beautiful dewy finish. All natural ingredients: Made from a blend of 8 different natural and organic plan oils with amazing skin regenerating and anti-oxidant properties including Argan Oil, Borage Seed Oil and Rosehip Oil.